One of the most important protections in the Constitution is the Fourth Amendment’s prohibition of unreasonable police searches and seizures. Back in colonial days, the British sometimes used “writs of assistance,” or blank search warrants, to break into people’s houses and search for contraband even though they had no evidence of wrongdoing. Today, searches made pursuant to a lawful warrant based on probable cause are presumptively reasonable. If Tampa officers did not have a warrant, their search must fall under one of the recognized exceptions. If that’s not the case, the exclusionary rule applies and the illegally seized evidence cannot be used in a criminal prosecution. Until 2009, this exception was probably the most commonly-used one. Officers could “arrest” a person for a petty offense like trespassing, and then search the vehicle they arrived in for weapons, drugs, or other contraband. But in Arizona v. Gant, the United States Supreme Court put an end to this sham law enforcement practice. Officers may still search vehicles after such “arrests,” but only if they have evidence of independent wrongdoing or to search for weapons which pose a threat to their safety. Because of this limitation, the search incident to arrest exception is not used in Florida very much anymore. But there are many others that may apply. With the demise of the search incident to arrest, voluntary permission searches are perhaps the most common exception in Tampa courts. The person giving permission need not even be the owner, so long as law enforcement reasonably believes that the person has authority. So, a roommate could give permission to search a dwelling but not give permission to force open a locked box in a closet. Many people do not know that they have an absolute right to refuse consent. 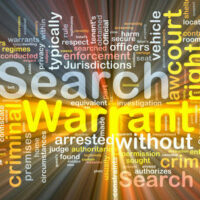 In that case, officers must find another exception or obtain a search warrant. Many times, such an exception is unavailable or officers do not go to the trouble. Officers may seize illegal items which they see in plain view. This exception assumes that the officer has a legal right to be in that place and that the officer uses no artificial enhancements, like binoculars or a magnifying glass. Complexities arise if the item was only partially in plain view. For example, a sheriff’s deputy could see a gun handle and assume it is an illegal firearm when it could be a harmless toy. Sometimes, officers have reason to believe that people in a building or car are in danger. For example, a neighbor might call 9-1-1 and report a gas leak in a nearby house. In these instances, officers have a right to enter that place without a warrant and ensure that all the occupants are okay. Once again, complexities often arise based on the officer’s actions. In the above example, officers could probably search the entire house, including the basement. But, they probably could not search a storage shed in the backyard. Illegally obtained evidence is inadmissible in court. For a free consultation with an experienced criminal defense attorney in Tampa, contact The Matassini Law Firm, P.A. Nicholas G. Matassini is Board Certified in Criminal Trial Law and is AV Rated by Martindale-Hubbell. Our firm routinely handles matters throughout the Tampa Bay area, including Hillsborough, Pinellas, and Pasco County.